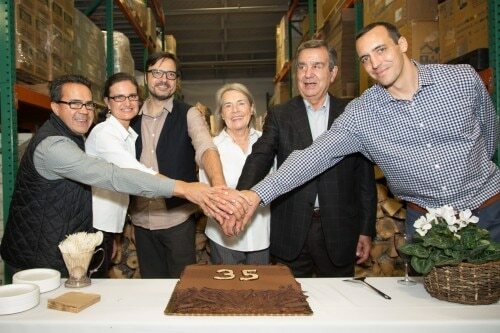 Mr. Espresso, the family-owned-and-operated roastery that supplies coffee, beans and espresso machines to some of the San Francisco Bay Area’s best and most star-studded restaurants, just celebrated its 35th anniversary with a party at its Oakland headquarters. Having grown up in Salerno, Italy, during and immediately after World War II, Carlo DiRuocco immigrated with his French wife Marie Françoise and two eldest children to Alameda, across the bay from San Francisco. Having worked during his youth at an Italian coffee roastery and having loved espresso all his life, Di Ruocco was startled at the scarcity of well-made espresso near his new home. How could the eminently diverse Bay Area, already food-savvy in the late 1970s, have so few places in which to enjoy a cup of this classic high-octane treat?